The activities of the Spiritual Director, Adoration Ministry, Enugu, Revd Fr Ejike Mbaka, has received the backing of his local ordinary, Most Revd (Dr) Callistus Onaga. 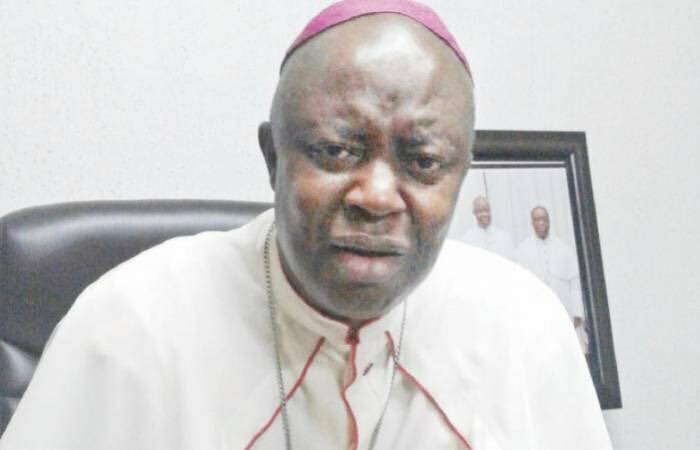 Onaga spoke exclusively with our correspondent in Abuja on the sidelines of the First Plenary Meeting of the Catholic Bishops Conference of Nigeria. He dismissed remarks from various quarters alleging that Fr Mbaka was flouting the church’s rules, saying that Mbaka had not in anyway deviated from the doctrines of the church. Mbaka had come under fierce criticisms in recent times, particularly over comments during the visit of former Anambra State governor and Vice Presidential candidate of the People’s Democratic Party (PDP) in the February 23 election, Mr Peter Obi. Mbaka was reported to have said that Obi and his running mate, Alhaji Atiku Abubakar, were going to end in shame, a development which was attributed to Obi’s refusal to part with money during the Ministry’s 2018 harvest and bazaar. Mbaka’s prophecies, particularly on the failed re-election of former President Goodluck Jonathan and the two-term election of incumbent President Muhammadu Buhari, drew the ire of the public who wondered over the motive behind his spiritual adventures. But Bishop Onaga, the Catholic Bishop of Enugu Diocese under whose ecclesiastical watch Mbaka falls, absolved Mbaka of any wrongdoing, saying that he is doing his work as a pastor. “He is doing his work as a pastor within the doctrine of the church. And as much as possible, we try to make sure he works within the framework of the Canon Law,” Onaga said. On Mbaka’s encounter with Obi on December 2, 2018, Onaga said Mbaka didn’t go out of the way. “No, he didn’t go out of the way. He could have in terms of method done things excessively, but he didn’t do anything contrary to the doctrine of the church,” Onaga added. Reminded that the Catholic Secretariat of Nigeria held a press conference over his encounter with Obi and frowned at Fr Mbaka’s activities, Onaga maintained his position on the cleric. “This is my own take: that what he did might not methodologically be good, but did not contradict the doctrine of the church,” Onaga also said. Onaga, however, refused to comment on Fr Mbaka’s prophetic activities which unlike prophecies from other men of God, always happened as predicted. “I am not talking about any prophecy. I am talking of his work as a priest,” Onaga stated. The Enugu Catholic bishop further said he was happy with Fr Mbaka’s work if not, both of them could have been having problems.